The major objective of the NYSA Fall Recreation league soccer season is to provide an enjoyable and educational soccer experience for its youth players. Additionally, NYSA is working to improve the quality of its officials through education, as well to ensure that officials return year after year garnering experience and knowledge with each additional year they officiate. Over the past few seasons, there have been an increasing number of incidents related to coaches and their aggressive behavior directed at referees or opposing coaches. While NYSA continues to educate its officials, sideline behavior is a major concern, therefore the NYSA Board of Directors has mandated new policies relating to coach and spectator sideline behavior. For the upcoming season, Coaches and their teams may be suspended for either NYSA playoffs, or MISA playoffs, if a Coach or his or her sideline receives (3) separate complaints filed by the officiating team, or an attending NYSA board member. The coach, is under all circumstances, responsible for the actions of his or her sideline, although the NYSA Board of Directors shall assess all sideline incidents, determining whether or not the team shall receive a playoff removal point for the sideline incident as reported to the league by the referee. In all cases, NYSA shall notify a coach of the first complaint and assessed playoff removal point. Additionally, NYSA will work with the coach to see that every effort is made to ensure that his or her team remains eligible for the upcoming playoff season. In all cases, NYSA shall notify the coach and parents on the roster that their team may be suspended from all playoff eligibility due to either coach or sideline behavior, based on them receiving a second playoff removal point. NYSA will continue to actively work with the coach to improve his or her actions, or the actions of his or her sideline. Every effort will be made by NYSA to ensure that the respective team continues to be eligible for the playoffs, however it will be the responsibility of the coach to improve his or her own actions, or the behavior of his or her own spectators. In all cases, a coach or respective sideline that receives a third playoff removal point will under most incidents be suspended from participating in the NYSA City Championships or Marin Interleague Soccer Alliance Playoffs, following a general review consisting of at least three members of the NYSA Board of Directors. All coaches and families will be notified of the Committee’s determination within (3) business days following the third date that the complaint is filed. A coach or spectator related to a specific team enters the field of play during a game, at halftime, or following a game, to actively dispute a specific call, or calls made by the official during the game. A coach or spectator related to a specific team yells at, or threatens an official or opposing player at any point during, or after a game. A coach or spectator related to a specific team abusively or consistently officiates the game from his or her sideline. NYSA reserves the right to assess all incidents and determine if a coach’s or spectator’s behavior should require the removal of one playoff point. This policy only relates to these specific sideline issues or incidents. 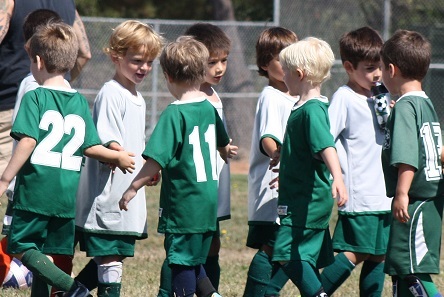 NYSA reserves the right to suspend or ban coaches or spectators based on the specific incident following the policies and bylaws of the Novato Youth Soccer Association.